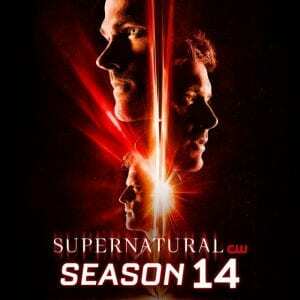 Season 14 of the CW’s Supernatural is in process, with episodes airing on Thursdays. Last week’s episode, “Nightmare Logic,” is the fifth of the season so far. The episode began with a young hunter, Maggie, who was out to kill what she thought to be a ghoul before she herself was attacked. Main characters Sam and Dean were alarmed when Maggie missed check-in, and ended up finding out that she was missing. Sam and Dean went to the scene and found two other characters, Bobby and their mother, Mary, already there. The group together investigated the case and worked to find Maggie and the mysterious monster before anyone else got hurt. Eventually, Dean realized that the man who claimed to be the nurse of the homeowner was a Djinn whose powers had been enhanced by the archangel Michael in return for killing hunters. The Djinn was able to bring people’s worst fears and nightmares into the world. Locked in a fight, the Djinn looked into Dean’s nightmares and was taken aback, allowing Dean to get the upper hand and kill him. Maggie was saved and the group of hunters returned home, now knowing that there were other monsters out there enhanced by Michael working to trap and kill hunters. Also through course of the episode, various characters came to terms with their new reality. Overall, the episode was interesting and built off the rest of the season’s plot well by revealing more of what Michael has done. Michael’s traps for hunters introduces a new issue for hunters to face in addition to leaving them to question what Michael’s endgame is. The episode was great on its own and left fans with thoughts of what might come next.